Feeling Blue about Your Winter Listing? Are you concerned about trying to sell your home in the winter? It can be discouraging to hear you’ve missed the good market or buyers are hibernating, not out looking at houses. Not to worry! As someone who has personally bought and sold during the winter months several times, I can tell you there is definitely a winter real estate market. While it is true that things pick up in the nicer weather, the reality is that people are looking for homes all year long. Life happens! Employment situations change, babies are born, people pass on. Individuals and families have many different reasons for house hunting, and those situations won’t always wait for the “Spring Market”. Less competition – Fewer listings mean that Instead of having several homes like yours to view, buyers may only see a few. The chance that yours may stand out is higher. Motivated buyers –If folks are braving the colder temperatures and nasty driving conditions, they likely have a stronger need to buy. Sure, you might have less traffic through your home in the dreary months, but those that do visit will be much more likely to make an offer. The blessing of snow cover – Late fall and early spring can be a yucky mess, especially if you have a lot of sand and dirt on your property or if you didn’t quite have enough time to finish raking leaves. Snow can actually make a property look quite beautiful. Realistic pricing – Even with fewer buyers out and about, lower inventory means buyers might come in with an offer closer to asking price in order to get what they want. 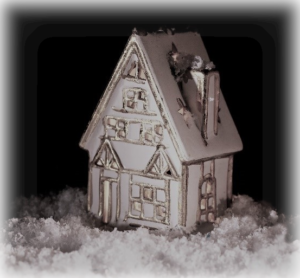 Of course, there are some special considerations when selling your home in the winter. Preparing your home for showings can require a little more effort when there is snow on the ground. Use this checklist to make sure your home is in top viewing condition when those buyers do come through. Price Competitively – When you price it well, it will sell. Remember, most people that see your home listed online, will see it when it is first listed. Fewer people will notice when the price is reduced later. Take Great Photos — No doubt about it, winter can be dull. Professional photographers can highlight the strengths of your property even in the dreary weather. If you are a planner, make sure you have great shots on hand that showcase your home in the other seasons too! Your buyers might be impressed by a photo album or a digital photo frame that shows off gardens, pools, ponds and great landscaping that are currently covered in snow. Consider Safety and Convenience – When people walk a property in harsher weather, they don’t want to be worried about hazards. Be sure you keep your laneways and walkways clear and salted. If there are outbuildings, remember to clear paths to them as well. Also watch out for large icicles hanging from the roof and bushes weighed down by snow. Highlight the warmth of winter spaces. Emphasize Winter Spaces – Do you have a heated shop or an indoor fitness area that will be particularly appealing to people in the winter? Make sure these areas are highlighted in your listing material. 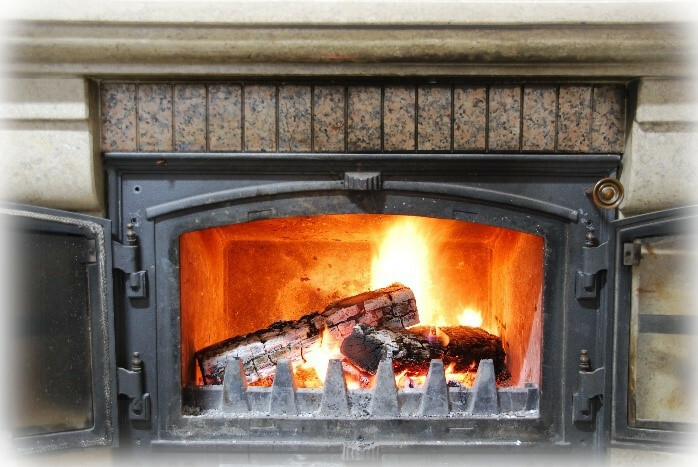 Fireplaces can also be selling points when buyers view your home in the winter. If you have a fireplace, use it for showings. Just don’t leave it unattended. Turn up the Heat and Lighting – Grey skies can definitely make a house seem dull and lackluster. Make sure all of your bulbs are working. Most rooms should be well lit during showings and let in as much natural light as possible. Keeping blinds and curtains open during the day can also prevent frost and mold from developing on and around windows. Keep heat at a moderate temperature. You want guests to be comfortable but remember they may still be wearing winter clothing during their visit. If the house is vacant, use timers for heat and lights to help make your home more inviting. Keep a Neat Front Entrance – Unfortunately, winter is a messy season. It’s easy to have a cluttered front entry with extra clothing and boots. Be as organized as possible, especially at the front entrance which should be welcoming to visitors. Remember, they will open cupboards and closets too. An absorbent mat, a boot tray and a basket of slippers at the front door will help encourage people to remove their boots at the door. Keep the Rest of the House Tidy – When it’s a bit dull outside, make the inside sparkle to make a great first impression. Since winter lighting can highlight dust and dirt, you’ll want to make sure light bulbs, windows, ceiling fans, baseboards, cabinets and tables are dusted and clean. Eliminate Unwanted Odours – Many buyers will be turned off by strong pet odours or musty smells. Consider replacing carpets or fabric furniture if they are the culprits, and definitely deal with mold issues. Again, many folks are susceptible to allergies and will walk away if strong odours are present. Make it Cozy – Hopefully, your home is tidy, and you have de-cluttered as much as possible. In the winter though, a few well-placed accessories can make rooms feel cozy and can help potential buyers feel at home. 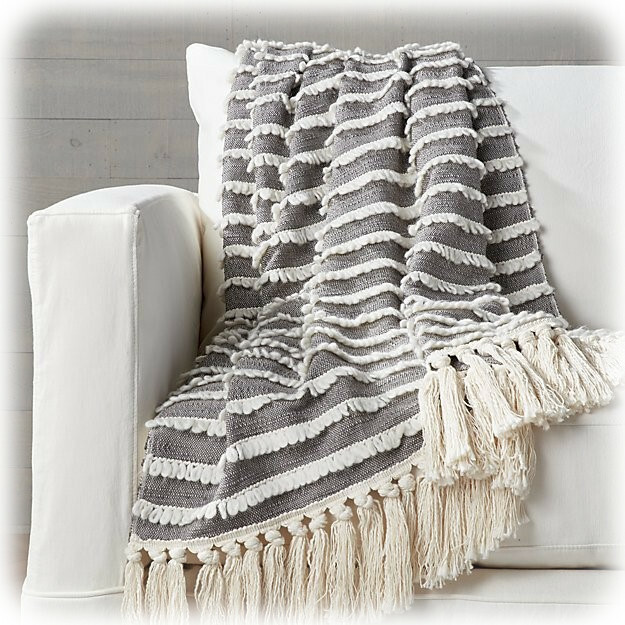 A few examples are area rugs on cold hardwood floors, plush throws on furniture near the fireplace and warm, down-filled linens in the bedrooms. Use the Holiday Season to Your Advantage – Decorations, candles and fresh baked goods can make a home seem warm and inviting, especially through the holidays. Be subtle though, even with scents like cider and cinnamon. Never leave candles unattended and keep in mind that many people have scent allergies. If the smells are strong, people may think you are trying to hide something. Additionally, too many decorations can be overwhelming and leaving them up too long is tacky. You don’t want to be known as the Grizwolds! Selling your home in the winter is no longer the depressing undertaking it used to be. With a little planning and attention to detail, you may be surprised by the results! If you have any questions about getting ready to sell, no matter what time of year, let Joseph Talbot guide you through the process.